The population of Swords and the surrounding area from the 2011 census. The following is a breakdown of the population of Swords taken from the 2011 records. The number of people living in Swords in 2011 has risen substantially and the estimate is now 46,000 from the figure of 41,000 in 2006. 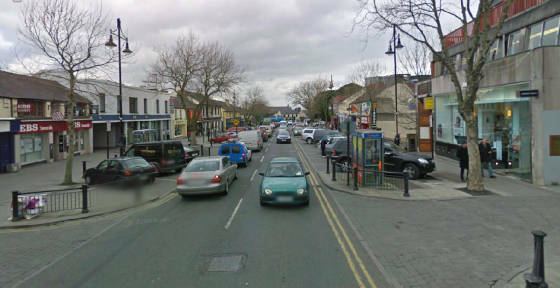 Rathbeale 7799 This area of Swords reflects the population of the following area, Rathbeale Roan, St. Columbas, Rathbeale Estate, Glasmore Park, Moortown Park, Abbeylea Estate, Elmwood, Pinegrove, Daleview, St. Andrews Park, Cianlea, Ardcian, St. Cronans, Swords Manor, Valleyview, Parkview, Brackinstown Road. Lissenhall 9072 which includes, Balheary, Applewood, Sandford Wood, Southbank, Jugback, Glen Ellan, Castleview, Bumbury Gate, Broadmeadows. Drynam 5526 , including Drynam Road, Melrose Park, Kinsealy Downs, Foxwood, Malahide Road, Milesian. Seamount View, Ashley. Swords Village 2514 including, Swords Main Street, Longlands, Chaple Lane, St. Colmcilles Park, Castle Ave,Park Drive And Grove, Church Road, Oaklands. Some statistics of the population of Swords suggests the number of people living in Swords at over 60,000. This figure would include other areas outside the boundaries of Swords, areas like Rolestown, Donabate, Portrane and St. Margaret's. The following figures are from the 2011 census for the Town Of Swords. There were 31,000 Irish people living in Swords. There were 7,100 from Poland, Latvia, Lithuania and Russia. There were 1,200 from Asia. The bulk are from The Philippines and China. There were 1,150 from Africa with most coming from Nigeria. The figures above are from the returned census forms of 2011. It must be said that up to a quarter of all census forms are not returned. As of 2016 one in every five people living in Swords were not born in Ireland. The earliest census records to have survived put the population of Swords at 1,700 in the year 1821. During the great hunger [ famine ] years, 1847 / 1852 the population shrank by 500 people. There are no records to suggest what happened to these people. We can assume that somes starved to death and some emigrated. The lane where the old post sorting office was on Rathbeale Road was nick named ''Stinking Lane'' because of the stench of the dead bodies that were stored there during the great hunger. The population from this time until the census of 1946 stayed at around 1,000 people. There was a steady increase of a couple of hundred per year until 1966. In 1966 it was 1,900 and by 1971 it had reached 4,100 which is an increase of 118.4% This was the first housing boom in Swords with estates such as Rathbeale, Glasmore and Seatown being constructed in them years. By the year 1981 there was another massive increase in population with 11,200 now living in Swords. This was a jump of 169.5% and was because more housing estates were built including the massive Rivervalley which has a couple of thousand houses. Other estates built during the years 1971 - 81 include, Seatown Park, Foxwood, St. Cronans, Abbeylea, Moortown, St. Columbas, Chapel Lane, Ashlea, Castle Farm and Broadmeadows. Swords Manor housing estate started around 1980.